Powers/Abilities: Blue Beetle's powers include flight, telescopic vision, the ability to fire lightning from his fingertips, and super-strength. History: Dan Garrett was an archaeologist who gained superhuman powers from a scarab he found. Fuller profile to follow. Comments: Charlton bought the rights to use the Blue Beetle off of Fox. 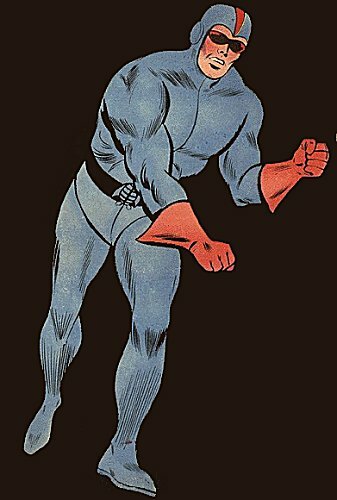 However the character they created only resembled the original Golden Age hero in name and appearance. His origins and powers were entirely different. After a couple of years they created a successor for him, Ted Kord; ironically Kord was probably closer to the original than this version. Thanks to "Dalenetrudy" for information on Blue Beetle's powers.